Knut Fleckenstein, a German S&D member, said during the debate in Strasbourg that it was “not an appropriate time for such a resolution to be adopted”, ahead of the quadrilateral meeting in Geneva on 17 April. Although drafted by the five main political groups in the Parliament, the S&D members withdrew their support because of a paragraph related to the planned construction of the Russian-backed South Stream pipeline in Southeastern Europe. The European Parliament “takes the view that the South Stream pipeline should not be built, and that other sources of supply should be made available,” reads paragraph 28 of the resolution. 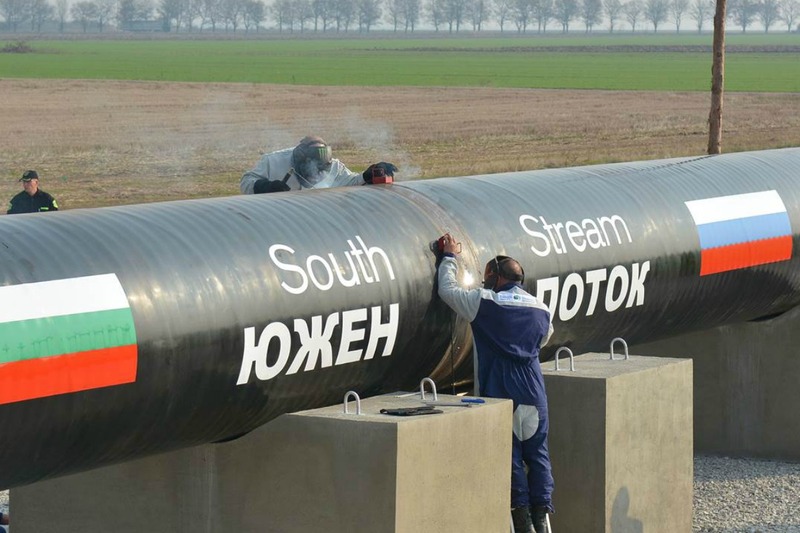 South Stream was born in 2007, as a response to the EU’s failed Nabucco pipeline, and is meant to supply Bulgaria, Serbia, Slovenia, Hungary and Italy with natural gas. However last year, in the midst of the Ukrainian crisis, the European Commission suspended discussions with Moscow over the pipeline and declared the South Stream agreements “illegal” in the eyes of EU law, leaving some of those countries, which are heavily dependent on Russian energy, in turmoil. For Bulgaria, the building of the Russian pipeline is “of strategic importance”, said the Bulgarian energy minister, Dragomir Stoynev, who spoke to reporters on 17 April. “South Stream is a long-term infrastructure project of strategic importance,” Stoynev said. “Now they want to stop South Stream. How are we to develop? This crisis shows that we do not have security of natural gas supplies for Bulgaria,” he said. Bulgarian MEPs raised similar concerns in Strasbourg, in the presence of the EU Commissioner in charge of neighbourhood policy. MEP Iliana Yotova asked the Commission whether it had assessed “who will suffer the most” if the project was stopped. When Russia froze gas flows in 2009, it cost Bulgarians €250 million, she recalled, asking for “guarantees to cover the consequences” in the event of an escalation of sanctions. Stoynev raised some of his country’s most pressing questions. “Why, for example do we not cut gas supplies through North Stream? This is one concrete measure. But it seems that South Stream should be sacrificed, and we have to put up with it. No, Bulgaria, this government will stand up for the national interest,” he said, quoted by Reuters. Bulgaria is heavily dependent on Moscow for energy supplies, similarly to many other Eastern European countries such as Slovakia or Hungary, and most of them oppose heavy European sanctions against Russia. Socialists and Democrats in the European Parliament favour the “dialogue” approach over confrontation, unlike most of the right. He also voiced concerns about the Russian-speaking minority in Ukraine, an issue often denounced as “propaganda”. “While respecting Ukraine’s independence and sovereignty, we must ensure Russia has no legitimate grounds for concern over Russian-speaking citizens in Ukraine. The best defence against unjustified Russian aggression is a policy of inclusion,” Swoboda declared in a press release. However, energy-dependent countries are not the only ones raising doubts about the efficiency of sanctions lately. Jacek Saryusz-Wolski, Vice President of the European People's Party said after the vote: "This is a watershed moment for the Eastern Partnership, which Russia tries to block, as well as a crucial time for European safety. We need decisive action of the European Union. Russia invades Ukraine in installments, using salami tactics and creeping annexation, we need to stop her. We need to introduce immediately a third level of sanctions, such as we used against Iran, namely economic and financial blockade", he stressed. The MEP, who co-drafted the resolution on Ukraine, supported at the same time the decisions taken by the government in Kyiev. "Ukraine has the right to self-defence on the basis of Article 51 of the UN Charter, including the use of military means. Just as it did it for Georgia, the EU should immediately send a large European Union Monitoring Mission to eastern Ukraine as well as to its border with Russia, to support stabilization. It is not only Ukraine and Eastern Partnership that are at stake; it is the European security which is at stake here." Dnevnik - the EURACTIV partner in Bulgaria: ??????????????? ?? ????? ?????? "???? ????? ", ?????? ?????? ??????? ????? ???? ?